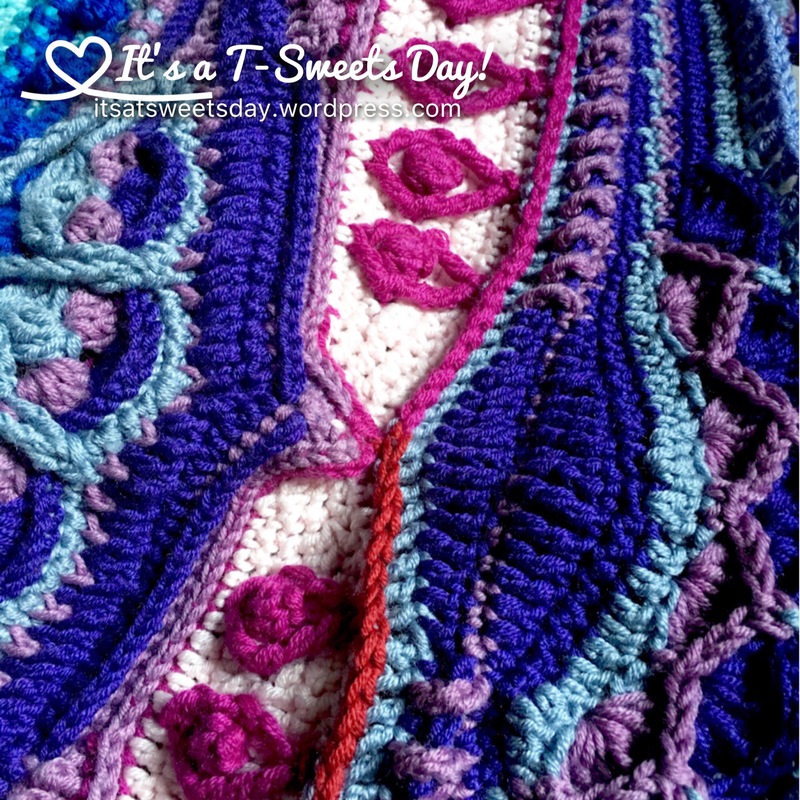 Making it Work:) – It's a T-Sweets day! 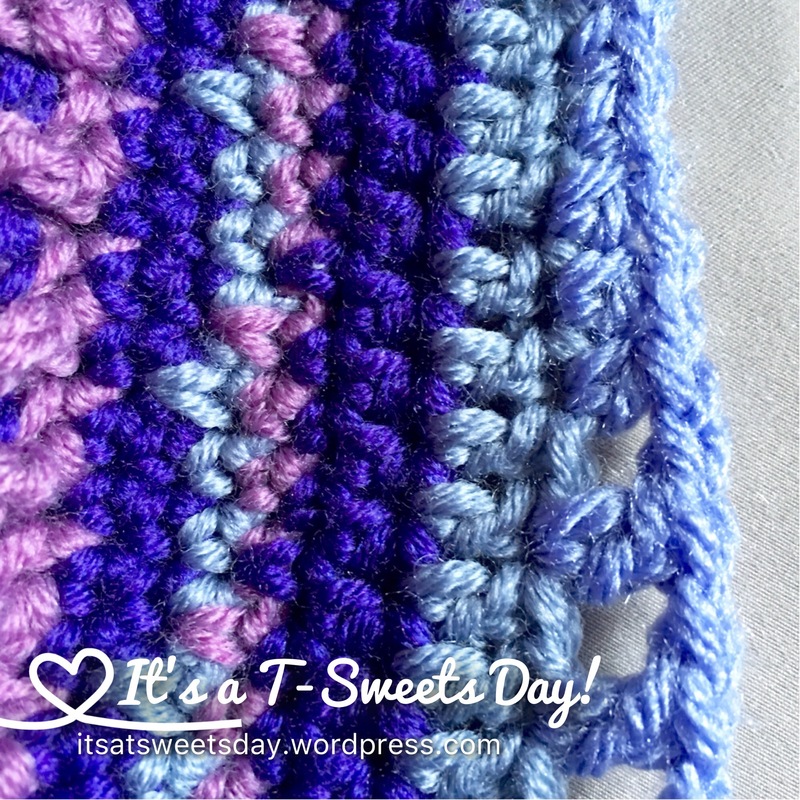 Published on September 2, 2016 September 2, 2016 by Tracy @ It's a T-Sweets Day! I love road trips. I enjoy being in the car with my handsome husband and looking at the beauty of the earth as we drive to a fun destination. 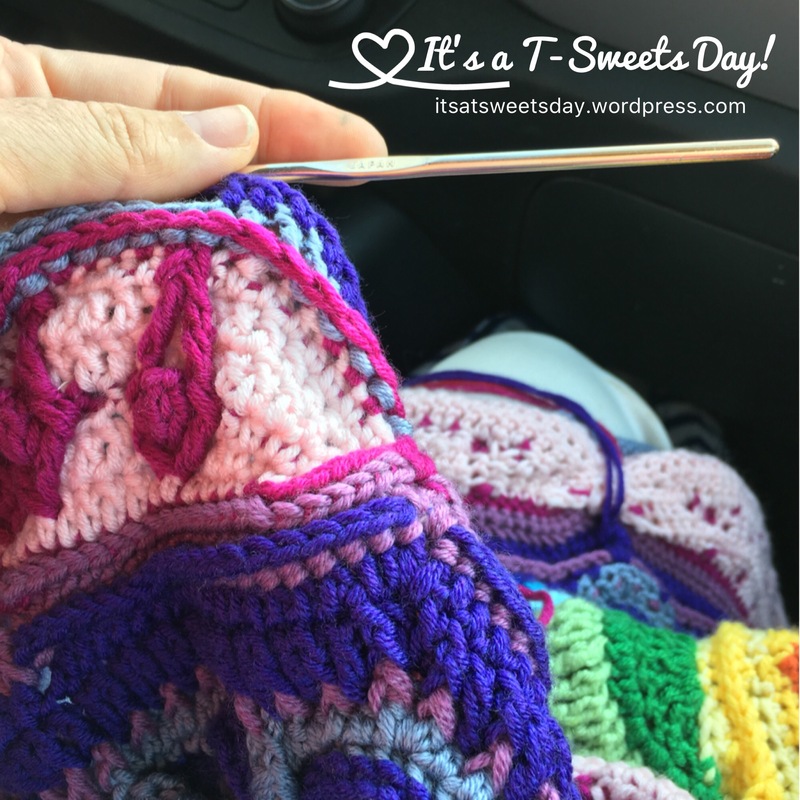 Crocheting as we go makes the trip absolutely a 10 out of 10 for me:) We just spent 2 days in the car driving to Idaho. 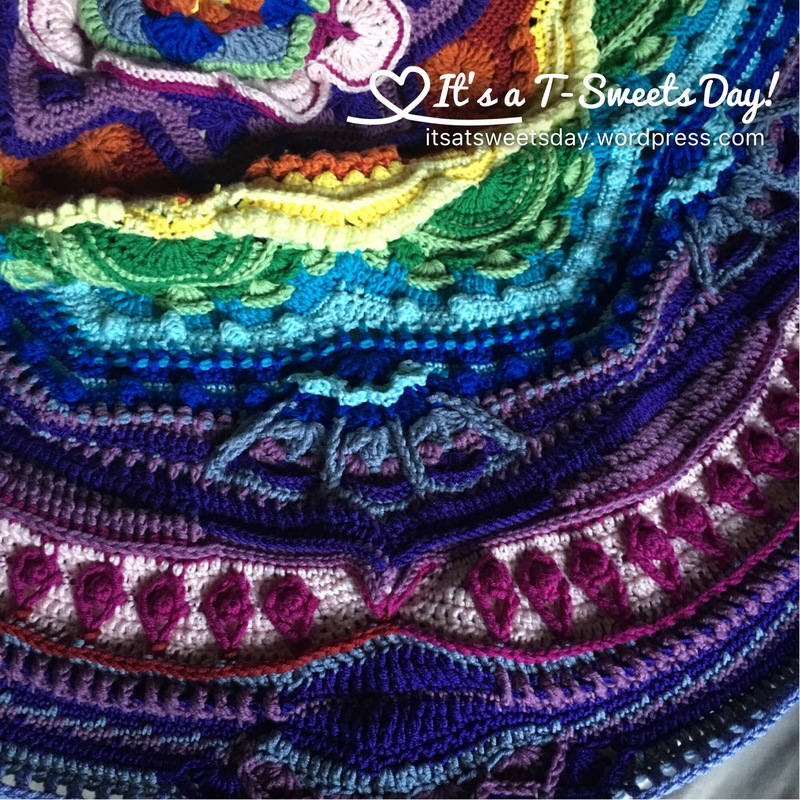 I was able to sew on my Mandala Madness as I went. Yea! 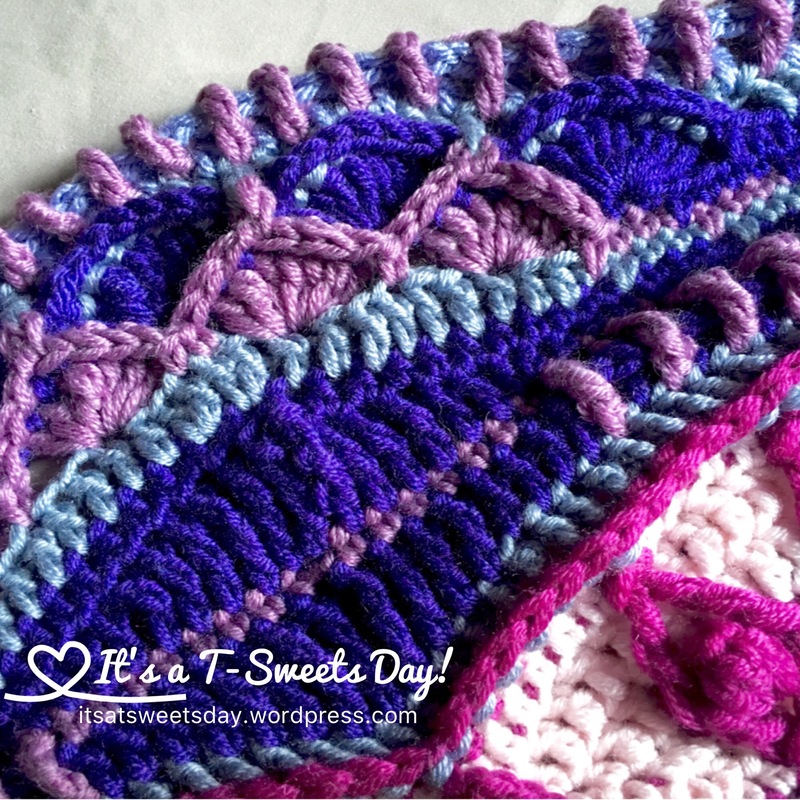 All went very well until–I RAN OUT OF YARN!!! I mean, really no more yarn! The kit I bought from Wool Warehouse did not send enough:(. Now, I don’t mean to complain, but I have bought many a kit in my life and usually have enough plus extra for a small project from the scraps. Not so here. I am using the correct needle size. Oh well. Life happens right? I finished one section with a similar color from my kit, because I was in the middle of nowhere and wasn’t going to waste those precious hours. It doesn’t look too bad, but I will always see it. I went on crocheting and ran out of the next few colors as well. I ran into a Hobby Lobby and picked up a few skiens of any yarn that would match. The dark purple was fairly easy to find, but the dusty blue was harder. Seeing it up close like this really shows the contrast. Further out, it is better. I am sure that in the end, these added colors won’t make a hill of beans of a difference, but it was a little frustrating to be sure. You’ve done a beautiful job! I am afraid I’m going to run short on fabric for a sew-along I started to in January – I feel your pain about finding that out the hard way. I know right?! I think we all have been there. Thank you for the kind words. It was the best I could do under the circumstances:). Have a great weekend! The colours are so vibrant! I’m working on the mandala myself, but I’m using up all my stash, and trying to make it “ugly”. I think it’s gorgeous and I’m loving the bizarre contrast. How did you decide which colours you wanted? You made lemonade out of lemons! Oh no that is terrible!!! Glad you could find similar replacements. I know what you mean about always knowing where you had to change color. To you it will stick out like a sore thumb but others will never notice. I am still working away on mine. Middle of part 11. It is getting so big I am only managing a row a night. Are you going to leave yours round or add corners? I have seen that Esther has posted a video for the corners. I was thinking of leaving mine round as well. I think that is what makes it unique.